Upon entering Le Méridien Angkor Spa, you are enveloped by a feeling of serenity. Drawing its design inspiration from the ancient temple of Banteay Srei Temple, the spa setting features carved temple-like statues and traditional Khmer-style art along the walls. Fountains emit the soft sound of falling water, while subtle lemongrass scents the air. A total of six luxurious private treatment rooms at Le Méridien Angkor Spa include three rooms for couples and one whirlpool suite. The rooms are held in a rich brown colour palette, accented by teak wood furnishings and the soft glow of candlelight. Guests may also enjoy select treatments on a private outdoor bed by the pool area. The award-winning treatments of Le Méridien Angkor Spa include a unique blend of traditional Western and Eastern therapies designed to relax, rejuvenate, and revitalize the body and mind. 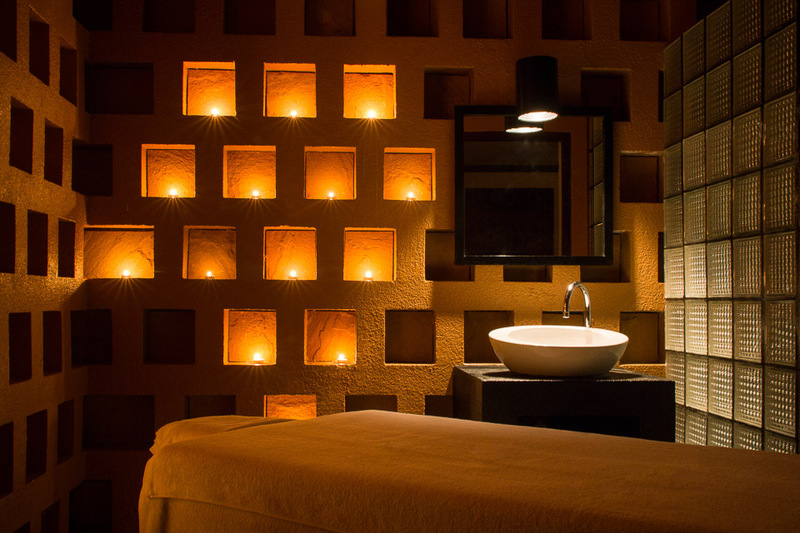 Here you can choose from a variety of massages, body wraps and scrubs, and facials.